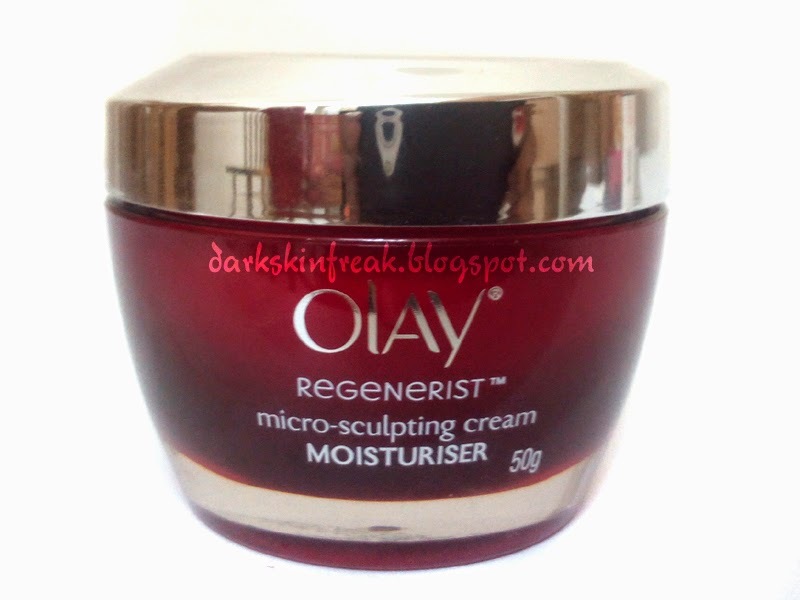 Remember that I asked my 47 years old uncle to give a review of OLAY Regenerist Micro-Sculpting Cream? 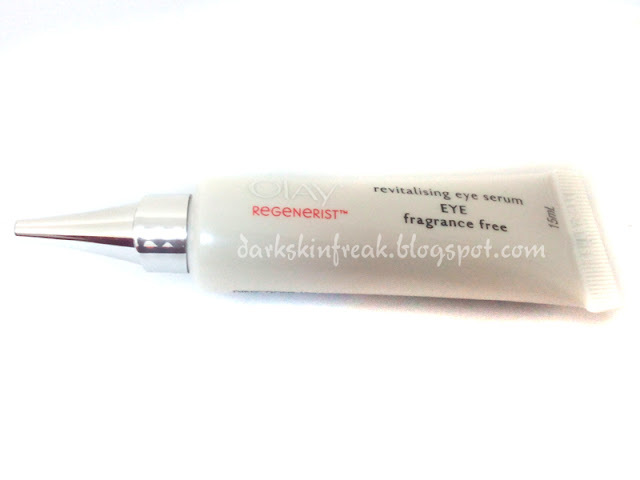 And this time I’m asked a review of Olay Regenerist Eye Lifting Serum. Soften the appearance of crow’s feet in just 2 weeks with Regenerist Eye Lifting Serum. This velvety formula with Advanced Amino Peptide Complex renews skin’s surface layers to instantly brighten the look of your overall eye area. 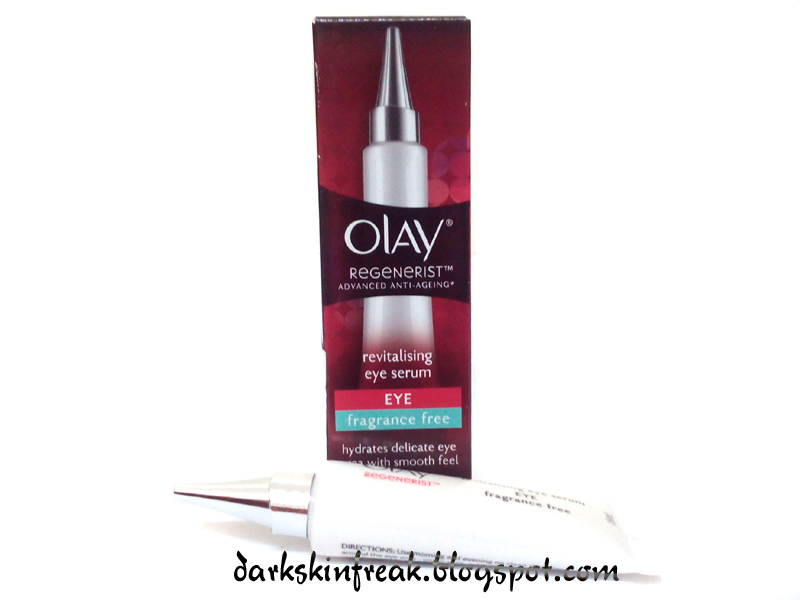 Reveal newer, brighter skin around the eye area with Regenerist Eye Lifting Serum. It immediately softens the look of fine lines and wrinkles and visibly improves their appearance. It comes in a small tiny tube. Cyclopentasiloxane, Water, Glycerin, Polymethylsilsesquioxane, Dimenthicone, Niacinamide, Dimenthicone, Crosspolymer, Stearyl Dimenthicone, Propylene Glycol, Butylene Glycol, Panthenol, Palmitoyl Pentapeptide-4, Tocopheryl Acetate, Camellia Sinensis Leaf Extract, CucumisSativus (Cucumber) Fruit Extract, Allatoin, Petrolatum, CetylRicinoleate, Peg-10 Dimenthicone Crosspolymer, Sucrose Polycottonseedate, Bis-Peg/Ppg-14/14 Dimenthicone, Benzyl Alcohol, Peg-10 Dimenthicone, Peg-100 Stearate, Ethylparaben, Propylparaben, Disodium Edta, Triethoxycaprylylsilane, Titanium Dioxide, Mica, Iron Oxides, Vitamin B3, Pro-Vitamin B5, Amino-Peptide, Vitamin E, Green Tea. 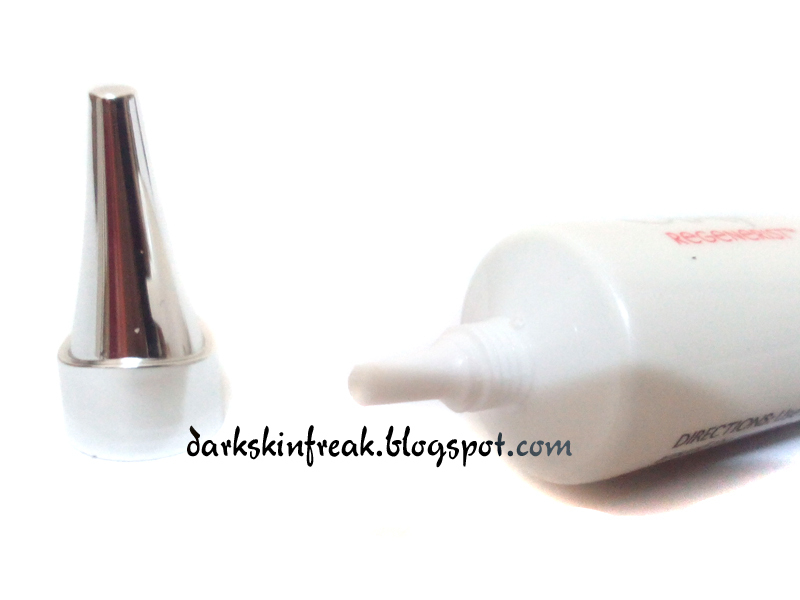 The product comes in a small tube. You just have to slightly squeeze the tube to release the product. 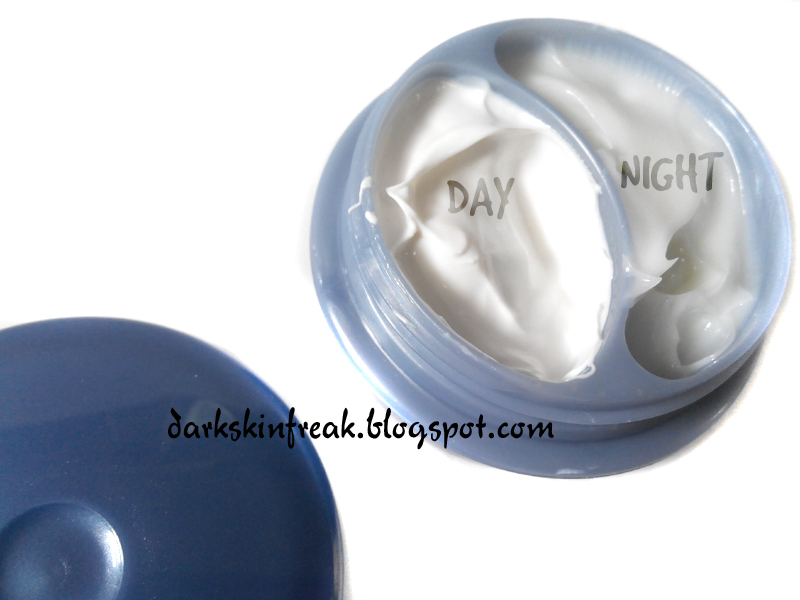 Use in the morning and at night on cleansed skin. Dot product around the eye area, under eyes, outer corners, eyelids and smooth in until thoroughly absorbed. Okay, a little goes along few. He only needs a few drops to cover his eyes. It’s not greasy and doesn’t sting. The best part, his eyes got much, much better. The fine lines disappeared and his wrinkles got less deeper in 2 months. 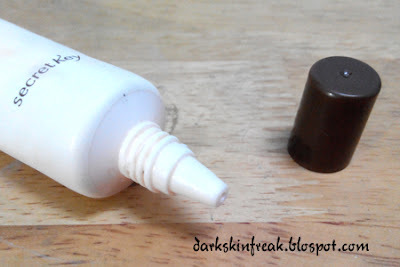 Okay, this is what I’m going to go for once I spot a wrinkle around my eye. The brightening effect can’t be seen though. Penetrates rapidly to deliver anti-aging Ingredients 10 layers deep into skin’s surface. It comes in a red classy looking jar. No spatula provided. 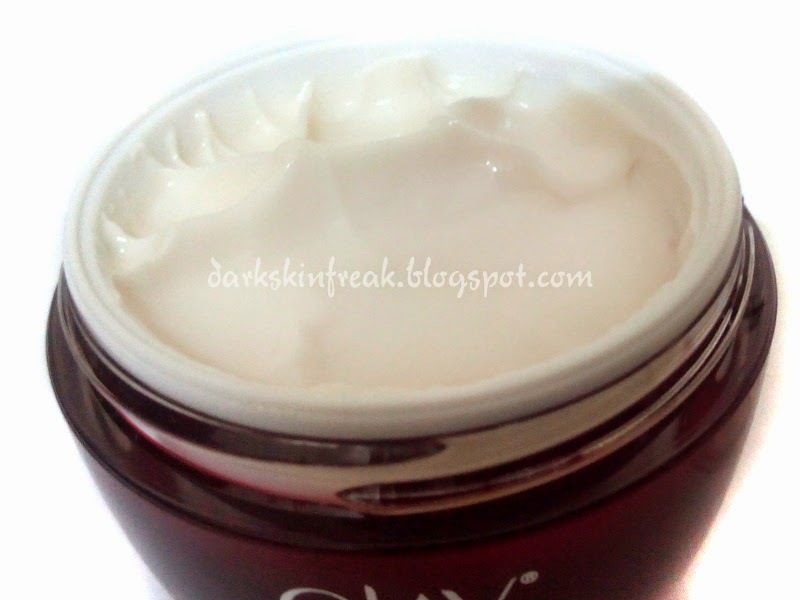 It’s very thick and creamy which is more suitable for dry skin. Using your fingertips, massage a small amount of cream onto face and neck, using upward circular motions and focusing on areas like the brow and jaw line, which need the most support. 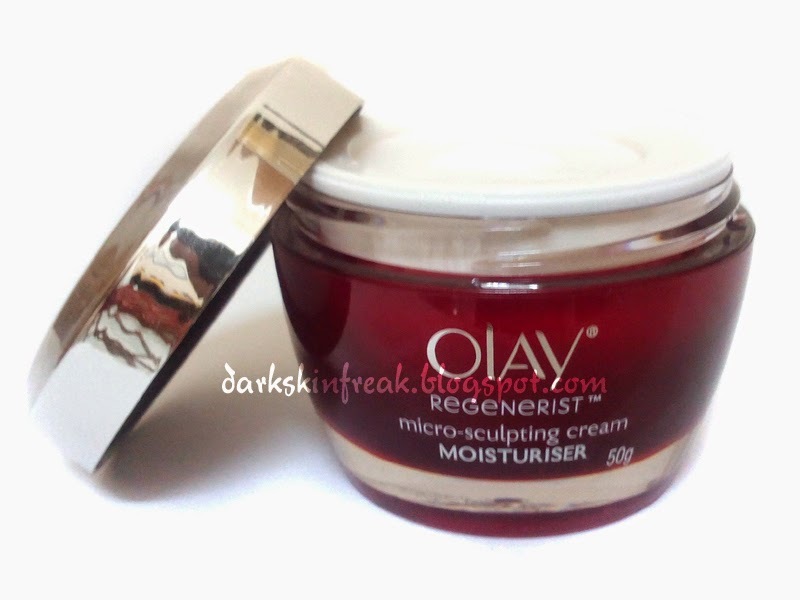 Use morning and night, or replace with an Olay Regenerist moisturizer with SPF for your morning routine. As with all facial skin care products, avoid getting into your eyes. If contact occurs, rinse with Water. The first time he used it, he said he felt some tingling sensation all over his face. Wow. I had never felt that. He has a combination skin and the product moisturizes his face well. Both he and I could see a difference in a month. In two months, his deep wrinkles toned down and fine lines disappeared. Wow this product actually works. The effect can be seen in 2 weeks as said in the description. He’s been using for 3 months and he looks 5 years younger. His skin is a little firmer and he looks as if he had a face lift. He never had acne and this product did not break him out despite the highly comodegenic ingredient. He’s really happy to use this product and he would definitely purchase it again. Hey Guys! Happy New Year! Sorry for the so long no post. My laptop was broken. :( And it took me some time to repair it. Let's get back to the topic. 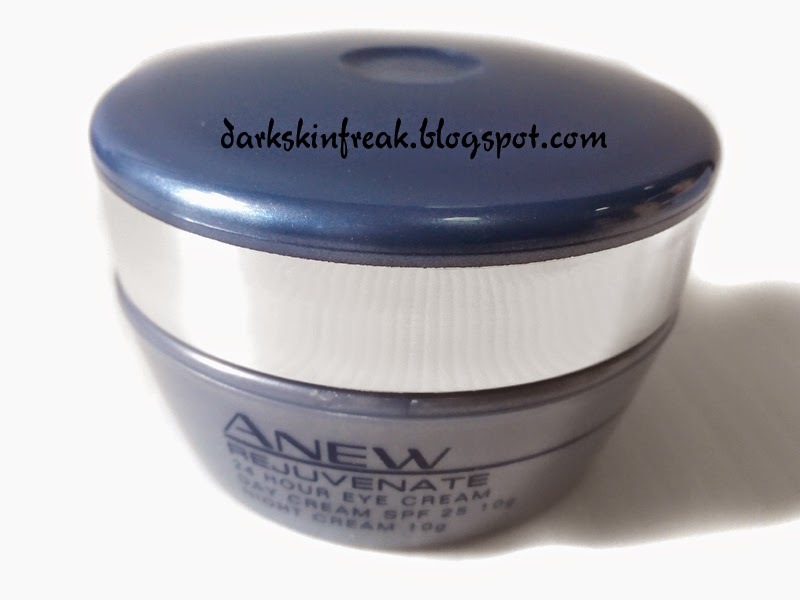 They had this sale in Avon and I bought this eye cream since mine is going to finish soon. 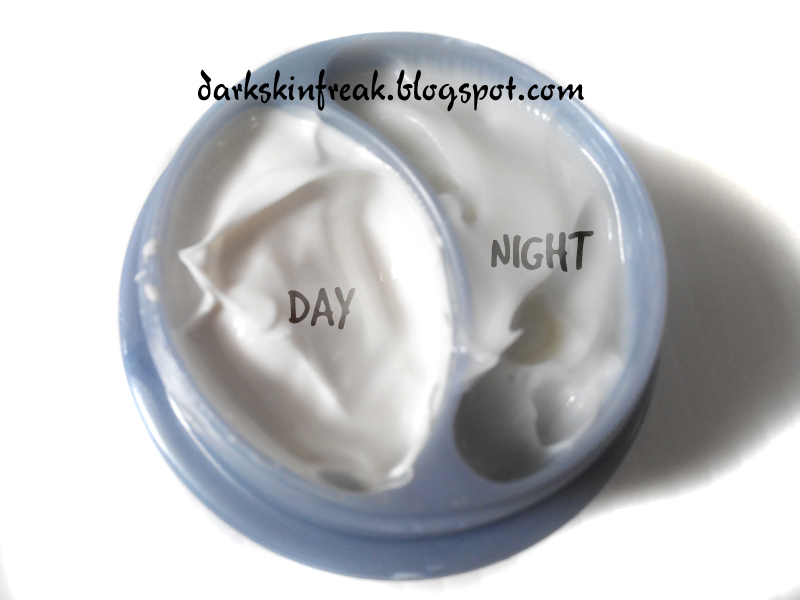 It has both day and night cream in it! Day Eye Cream Broad Spectrum SPF 25 UVA/UVB scientifically designed to reduce undereye circles and protect against UVA/UVB damage to sensitive lid & undereye areas. Night Eye Cream specially formulated to visibly reduce under eye puffiness and smooth the appearance of fine lines & wrinkles. In 24 hours 70% of women saw the look of fine lines softened, shadows brightened and puffiness reduced. Use AM and PM on eyelids and under eye areas. 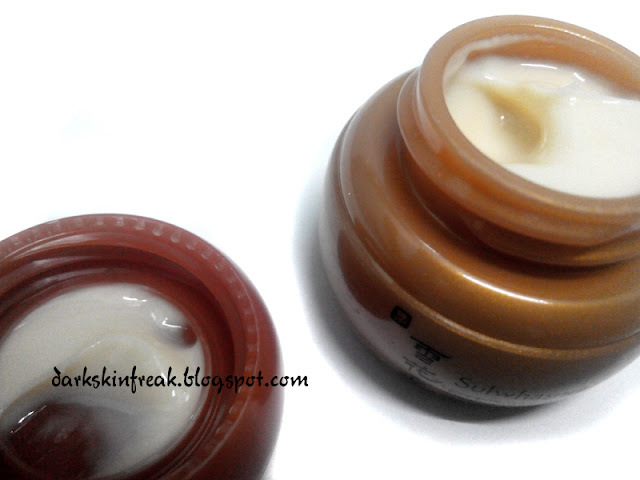 Both has thick texture compared to my previous eye cream. 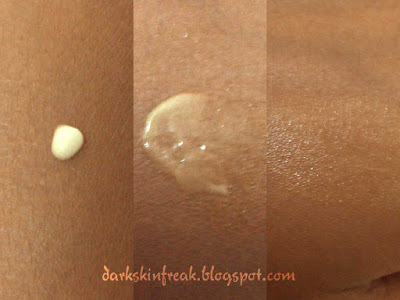 The A.M Cream is really thick though. And the night cream kinda stinks. Smooth around the entire eye area. in A.M. apply white day cream with SPF 25 before sun exposure and reapply as needed for adequate sunburn protection. In P.M. apply pale green night gel-cream. This product is definitely not suitable for my skin. First of all, the texture is very thick and it makes my eyes looks greasy. Second, it stings my eyes! Eye products that sting is a no-no. I've stopped using this after a week. I gave it to my friend. But then, she said that she loves it. In just one night, she could see her wrinkles reduce and black eye disappear. Well, I guess the result of this product depends on people. She has a normal skin type. Me, combination. Depends. If you want to take a risk, go ahead and try. It might work wonders for you. If not, just don't. So hey guys! I got this mask for free when I purchased Mizon products online! Yay! Chokeberry extract is packed with essential phyto-nutrients, vitamins, and antioxidants that help to brighten skin and smooth fine lines. It also has 80x more anthocyanin than grapes, and 10x more catechins and tannins than green tea, which means your skin will be left more radiant and healthier than ever. Powerful antioxidants protect the skin from environmental factors and visibly boost elasticity. Certified for wrinkle care by KDFA. The packaging is so cute! Love the King Kong. It comes with a quality sheet neatly folded with a paper. Soothe skin with toner after cleansing. Open the package and put it on your face. 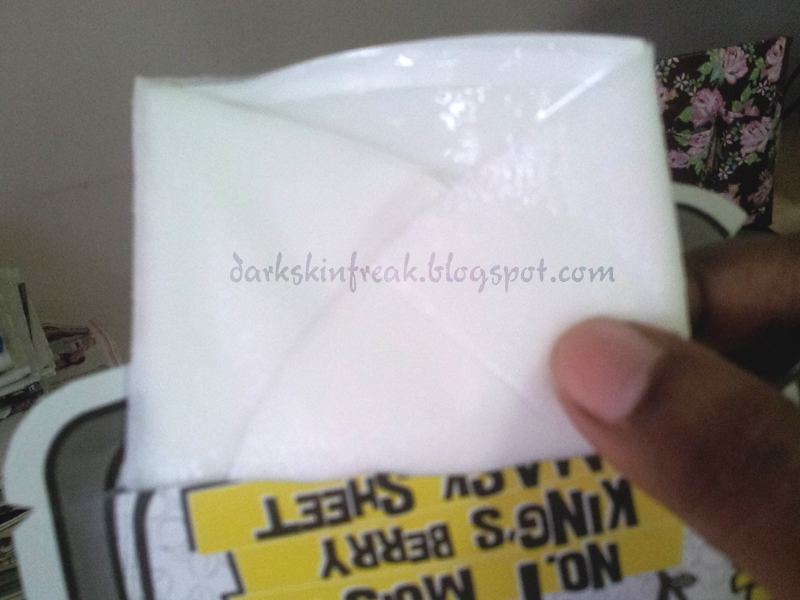 Remove the sheet and pat lightly till its completely absorbed into skin. Recommended to use 2-3 times weekly. Use after cooling in fridge for a better effect. I just love the packaging! It’s so cute! Anyway, my first impression would be no breakouts! 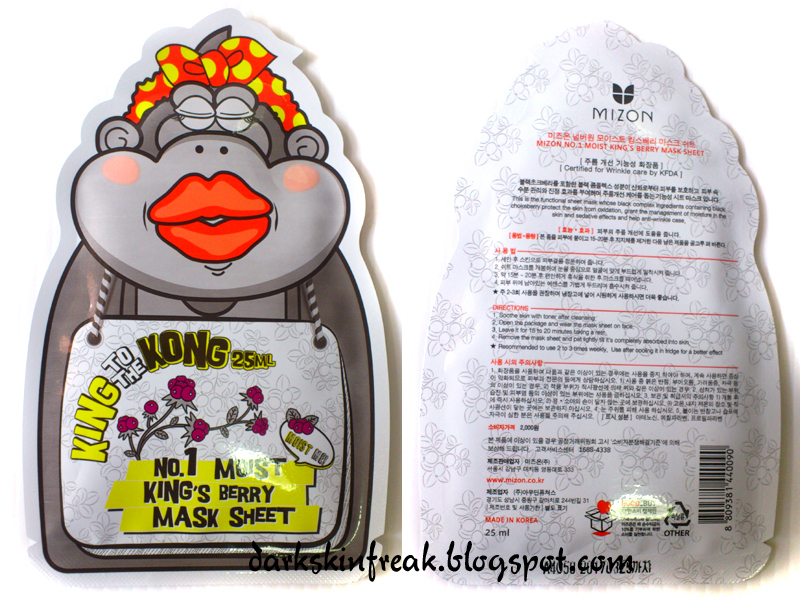 Since most sheet masks give me breakouts, I’m really glad this one did not. 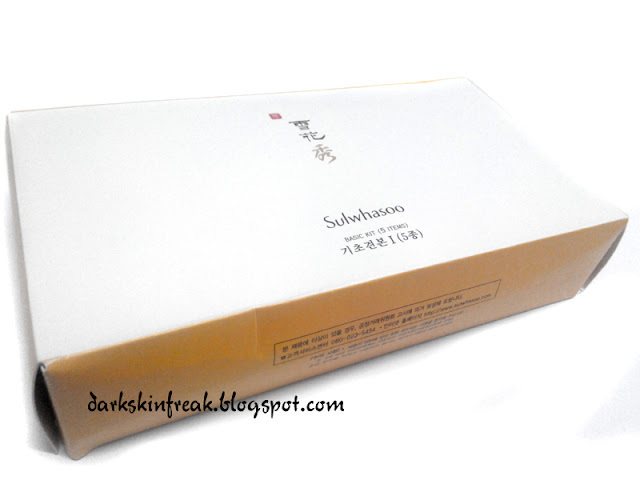 After using it, it made my skin glow, soft and smooth. I kept it in the fridge before applying, and it felt really refreshing. After taking off the sheet mask, though, I can see that the sheet left some oily cast on my face. 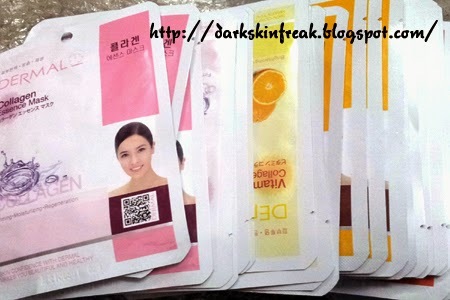 Compared to other masks, you can feel the difference immediately when using dermal collagen essence mask only once and it includes a high quality masks sheet which sticks to your face very well. 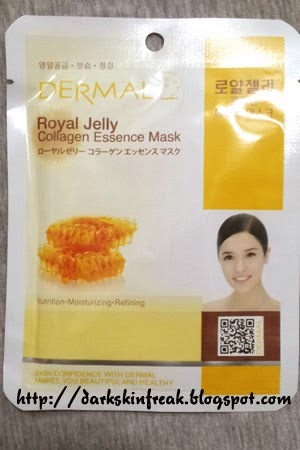 It contains royal jelly which is a complex of various kinds of microelements such as protein, fat, carbohydrate, water & etc, thus, it provides nutrition to tired and troubled skin and keeps the skin always healthy and soft. Vitamin E and collagen provides your tired skin nutrition and make your skin healthy and bright. 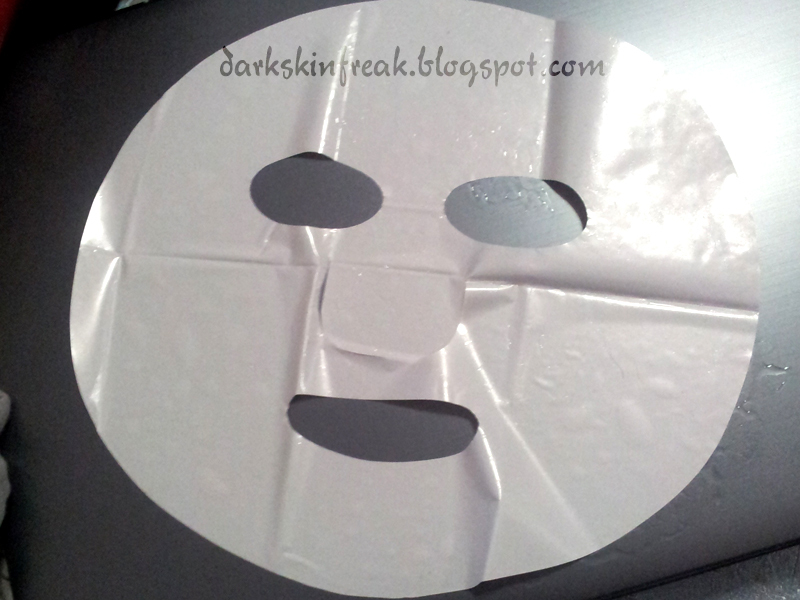 When you put mask sheet on your face, it makes you feel cool and it keeps your tired skin elastic. The sheet is a quality one and it has flaps that can cover the eyes. 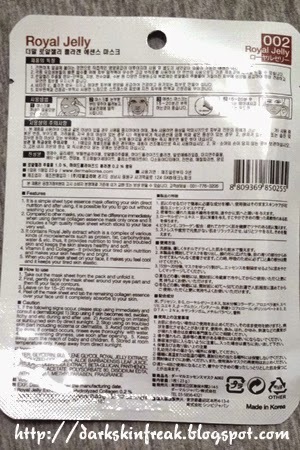 Take out the mask sheet from the pack and unfold it. 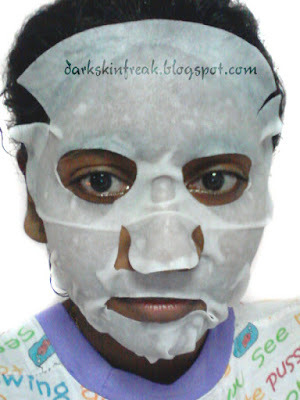 Peel off the mask sheet and tab the remaining collagen over your face until it completely absorbs to your skin. I like the product. It smells kinda perfumey and it’s quite strong. The sheet mask has eye flaps which is great on my eye. My skin feels hydrated after I used it. Hey everyone, life is so hectic nowadays. Tiredness and lack of sleep causes my eyes to have to have huge, deep eye bags. Since I got no idea what to do, I bought an eye cream to reduce those eye bags. 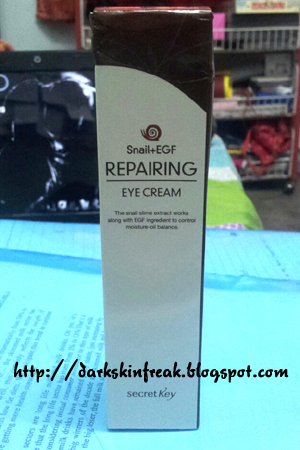 Snail mucous and rh EGF ingredient helps skin elasticity and increase power to create healthy skin. Creates elastic and vibrant skin around eyes as it absorbes quickly into sensitive eye rim. EGF is epithelial cell growth factor discovered by biologist, Stanley Cohen in U.S and is a type of protein that is formated in the body as it promotes formation of new cell combining with acceptor in the skin surface. The cream is white and thick. It has no any particular smell. Apply a small amount on your fingertip and gently pat around the eye are until absorbed.